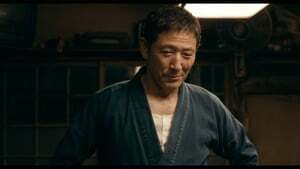 I walked out of After the Storm wanting to be a better person — and further convinced that Hirokazu Kore-eda isn't just one of the world's best filmmakers, but one of its most indispensable artists. This bittersweet peek into the human comedy has a more subtle charm than flashier films like the director’s child-swapping fable Like Father, Like Son, but the filmmaking is so exquisite and the acting so calibrated it sticks with you. 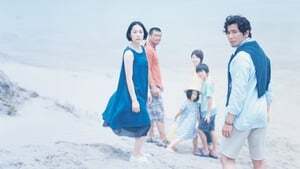 Mr. Kore-eda, whose most noteworthy family dramas include “Still Walking” (2009) and “Like Father, Like Son” (2014), works in a quiet cinematic register, and the slightest error in tone could upend the whole enterprise. Slow-paced, sad, rueful and sometimes warmly funny, After the Storm is one of his sturdiest, and most sensitive, constructions. An exercise in mellowness, right down to the snatches of tinkly-twinkly sentimental music. The stock character types that Hirokazu Kore-eda employs across the board are pretty much open books from the start. After the Storm is a film that invites you in, and clears a space for you at the dinner table while you shuck off your shoes in the hallway. Such is the finesse of Kore-eda’s script that it builds to neither the vehement confrontation nor the comforting reconciliation that melodrama decrees. Instead, it imparts those rare, liberating moments when characters revert to their most honest selves and pluck up the courage to express their deepest, albeit unattainable wishes. No director working today observes family life with such delicacy and care, or is so unstintingly generous with what they find. 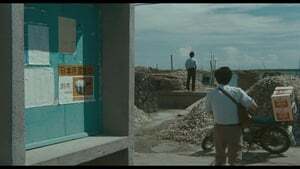 This is Kore-eda at his very best, facing up to the hardest truths with honesty and a nervous laugh — uncomfortable, invigorating, and ultimately cleansing, like the cinema’s equivalent of a cold shower. And I mean that in the best way possible. 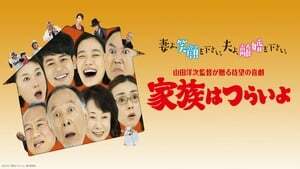 Like Kore-eda’s 2008 family drama Still Walking, this is a film which is interested in the architecture, both emotional and physical, of the family home. To make your dreams come true, sometimes you have to break the rules. A naked reflection to the meaning of now.